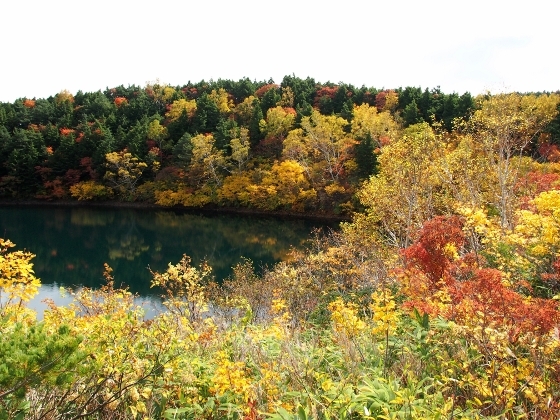 Photo above was a superb autumn view of Okenuma Pond, Jododaira, as of today. 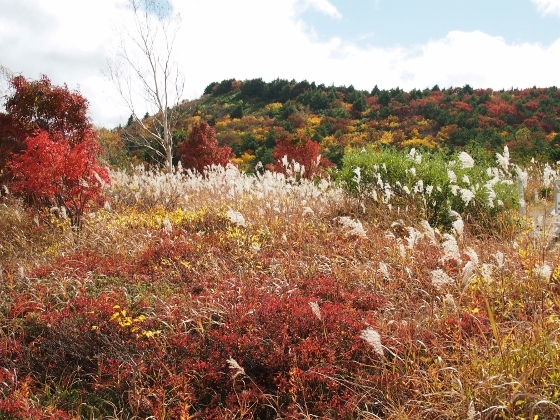 Autumn color change in Fukushima Pref. starts from here. The location is easy to access by public transport. 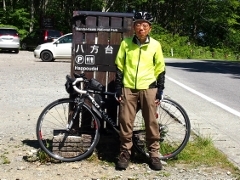 There is a local shuttle bus service along Bandai-Azuma Skyline road to the site from JR Fukushima Station every day during the season of October. 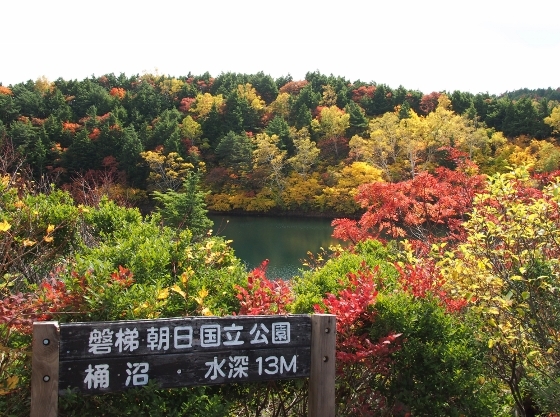 Once you get off the bus at Jododaira terminal you are surrounded by spectacular autumn colors on mountain hillsides. 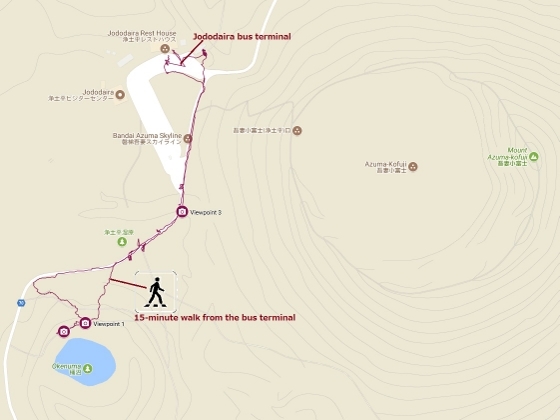 Okenuma Pond is only 15-minute walk from the terminal. Photo above shows a description of Okenuma Pond on the site. 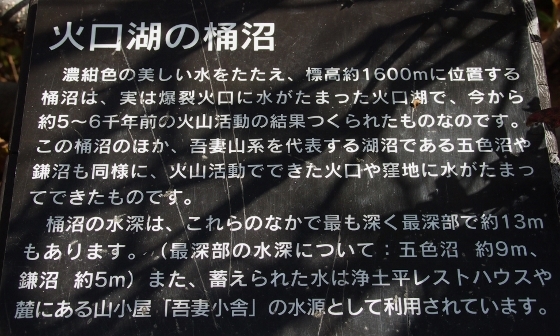 It says the pond was created 5 to 6 thousand years ago as an eruption crater.The water is 13 meters deep and it provides drinking water to nearby rest house and mountain lodge. Some other photos taken nearby are shown above.